During the wintertime I always enjoy first snowfall in Brooklyn, New York City. On January 27, 2015 we had gotten what was supposed to be our first major blizzard. Actually it turned out to be just a regular snowstorm. We had gotten about a few inches to a foot of snow. What was originally reported to be a major blizzard. Only turned out to be just an average snowstorm, but I always think that the city looks great during first snow fall. The storm came in overnight and when I had went out early afternoon. The streets were packed with snow. The temperature was cold outside when I had gone out. Only about twenty-seven degrees out, with a little wind that just made it feel a little colder. I was only out for about an hour, but I did manage to get in a few photos from the time spent outside. If you was wondering about how my camera equipment held up, it worked just fine with no problems at all. My camera configuration was the following: Canon EOS 600D with a Canon EF 35-70mm standard zoom lens aperture f/3.5-5.6 with a Neutral Density Filter (ND2) attached. 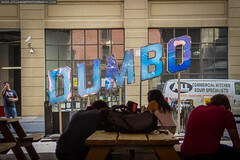 Below are just a few of the images that I had taken. 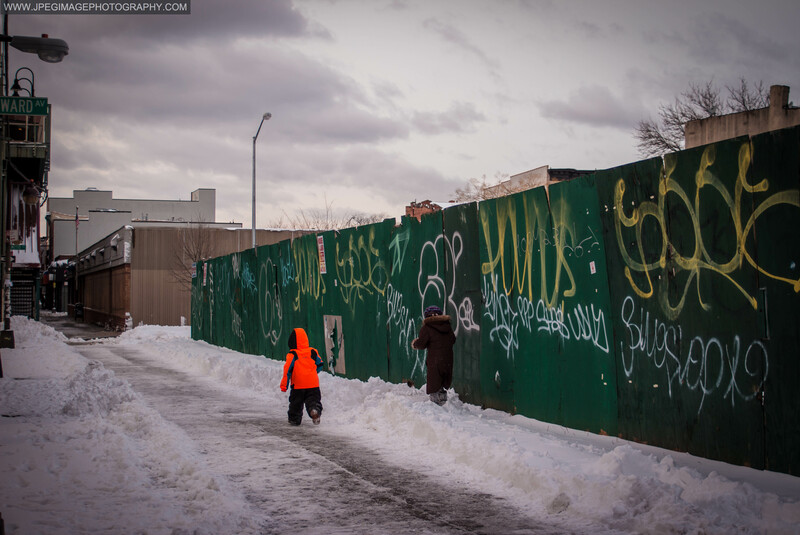 Woman and child walking in the snow along Broadway in Bedford Stuyvesant, Brooklyn New York. 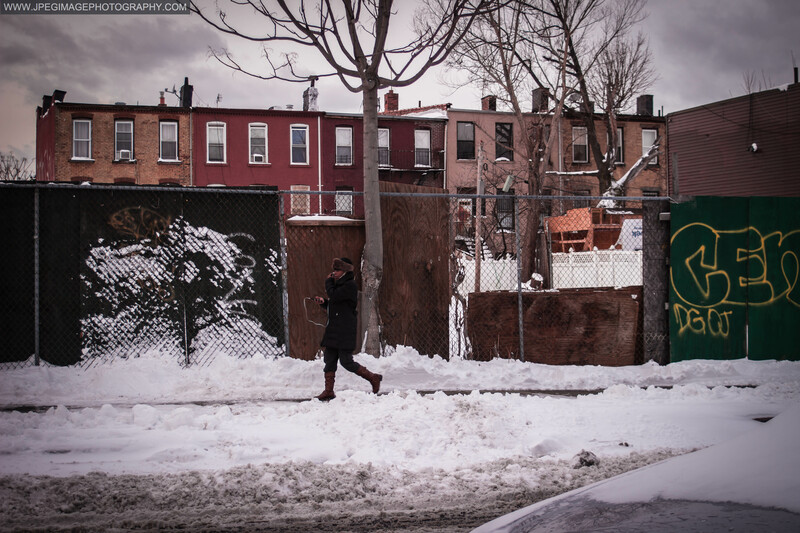 Woman walking down a local snow-covered street in Bedford Stuyvesant, Brooklyn New York. 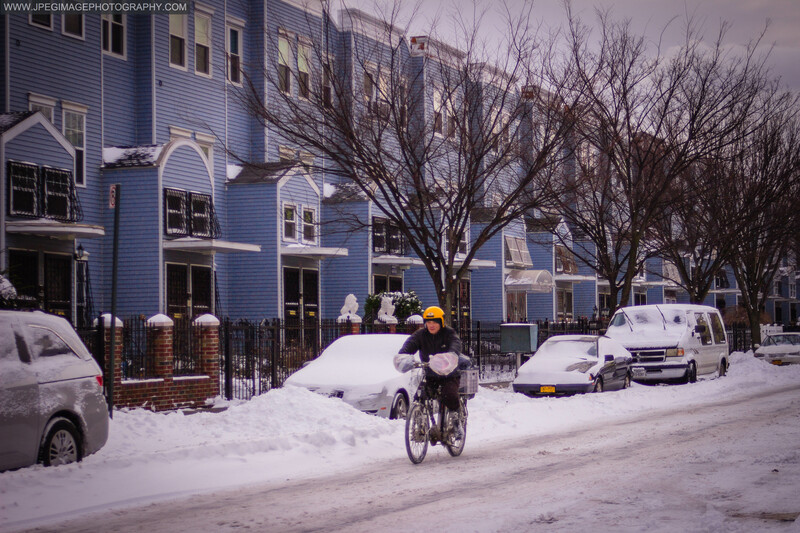 Local delivery person on a bicycle riding on a snow-covered street in Bedford Stuyvesant, Brooklyn New York. Another snowstorm is to arrive in New York City in a day or two. If so… I do hope to be outside once again enjoying the snow and photographing its arrival.